How old does my child need to be to take drum lessons? A child needs to be at least 5 or 6 years old, depending on his/her maturity level and attention span. 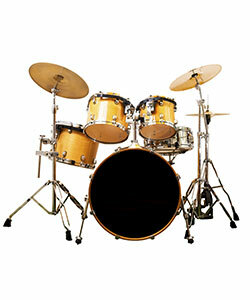 Where can I buy or rent drums and percussion instruments? You may rent mallet instruments at Music and Arts (various locations). Both Howren Music and Music & Arts keep practice pads, drum sticks, and mallets in stock for purchase. Occasionally, with the instructor’s help, you may be able to locate some good instruments and/or sticks and mallets on eBay. Where are drum and percussion lessons given? Due to the nature of the instruments, drum and percussion lessons are given in the instructor’s home studio, near Southern Park Music School.